Here you will be able to see our performance and our SATs results and any other type of data feedback that we choose to add. Find out how we perform each year with our SATs results and any other information data. Please click the link to find our 2018 results. Please click the link to find our 2017 results. 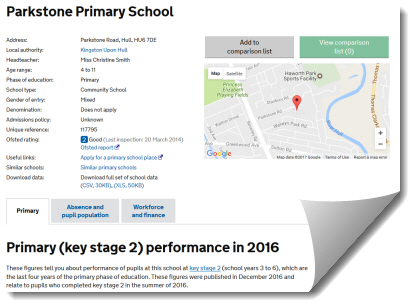 Here you will be able to see our performance tables data held at the DfE website.